When your goal is to reach the pinnacle of customer service, customers should expect a little more than the normal. 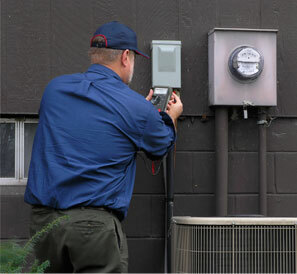 You should expect that our technicians are expertly trained and can fix your furnace or air conditioner fast. You should expect them to be able to fix any make or model of furnace or AC with ease. You should expect them to be background checked and drug tested so you can have peace of mind. You should expect them to be polite, respectful and leave your home or business as clean (or cleaner) than they found it. You can expect that every time you call Pinnacle HVAC for furnace or AC repair 24 hours a day, 7 days a week, 365 days a year. Not only can you expect excellent repairs and super helpful and friendly technicians, you should also expect fair prices. At Pinnacle, we’ve always used a flat-rate pricing structure so you know what things will cost before the work is done. Our technician will diagnose the problem, let you know what the repair will cost and get your approval before performing the repair. That way, there are no ugly surprises once the work is done. Our customers love our flat-rate pricing system. It’s straightforward and easy to understand. That’s how we like to do business. If you need furnace or air conditioner repair, call Pinnacle HVAC at (781) 647-7117.